Myles Boone grew up in San Antonio and, although he grew up with resources and teachers who encouraged him, he’s aware that not all students have that. 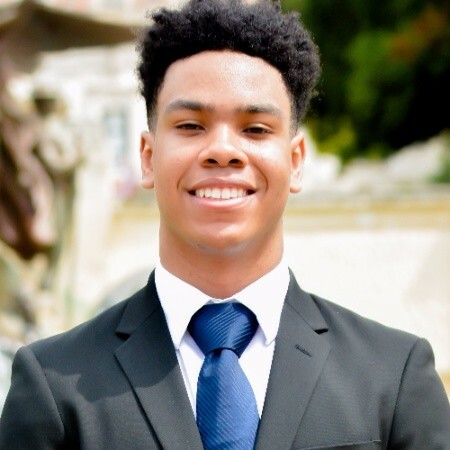 Myles decided to join Teach For America because he wants to work with kids who are in situations similar to his father’s and to the situations he experienced growing up. When talking about the work he’s done through college, Myles said one of the best experiences of his life has been mentoring and tutoring kids in low-income communities in Austin. As he gets ready to transition to teach high school math in Houston, Myles is thinking about all the challenges he’ll face. As he gets ready to go into such a challenging new space, Myles reflected on the values he’s developed in college. Working in the business world, he’s filled with a passion for innovating and exploring creative solutions. But, that’s not the only goal Myles wants to pursue. After listening to Robert F. Smith talk about his own life path at a UT event, Myles came away with an insight that led him to choose Teach For America. “Whatever work you’re doing is going to have its drawbacks but at the end of the day, you’re going to look back and want to know what you’re doing is the thing you are most passionate about,” Myles said.